The Eden is still running at a nice level and the weather is dry and quite still at the moment. The Eden is running at a nice level and the weather is wet underfoot and a bit misty over the fells. At the minute it's calm with wall to wall blue sky. But the ground's still white where the sun hasn't reached. The river should be back at a decent level. It's probably worth a go but don't forget the thermals!!!! The Eden is coming down at the min and will be fishable in areas, probably above all the main becks (Belah/Scandal) but there has been some more rain and it could rise again. So what am saying is "I don't know what it's going to do" Sorry. It's cool, damp and windy. The rivers up a bit and rising after last nights rain. start collecting brownie points ready to cash in over Easter week end. The river conditions are still good but the weather is wet and quite windy and i would expect the river level to rise at some point. There has been some rain overnight and it is also quite windy but the Eden is still running at a good level. The Eden is still running fine and the weather is very nice at the moment, still, dry with hazy sunshine. The river is still running well but the weather has taken a turn for the worse and it is quite windy with rain forecast for later, apparently ! The river conditions are still fine and the weather is dry with patchy cloud and sunny spells. It's a very misty morning in the upper Eden but would expect it to burn away by mid morning. The river is still bob on. The river conditions are unchanged (Still Good) and the weather is dry with hazy sunshine. Don't forget the AGM tonight at The Black Bull at Nateby @ 8.00pm. Please come if you can ,the more the merrier. The beer is very good !! Looks like we are in for another lovely day with clear skies at the minute. The Eden is still running at a good level. It's quite misty this morning but I am sure it will clear and the Eden is still running very well. Time for a sicky ?? The river is running at a perfect level and the weather is dry and overcast at the moment. 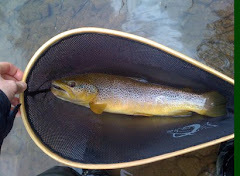 The river conditions are still good and the weather is dry and overcast and quite warm for this time of year. The river's at a nice level, there's little wind and it's mild. 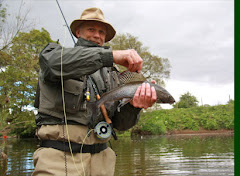 Even if the fish don't co-operate, it should be a pleasant start to the season. Just save a bit of space for me please!!! 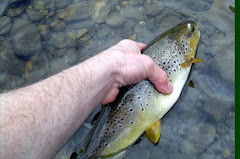 The river conditions are very good tonight and if the weather forecast is right tomorrow will be fine, just a bit windy. Looking good ! The new season is but 2 days away. All set ? The river conditions at the min are dropping off from a small flood, so pray for no more rain !! 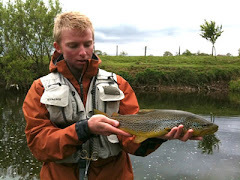 The AGM of Kirkby Stephen and District Angling Association will be held at 8pm on Friday 20th March at the Black Bull, Nateby.